The Soyuz capsule successfully transported three new astronauts to the International Space Station after lifting off from the Russian space station Baikonur Cosmodrome in Kazakhstan.The capsule safely transported Anton Shkaplerov of Russia, Terry Virts of NASA and Samantha Cristoforetti of Italy in less than six hours. 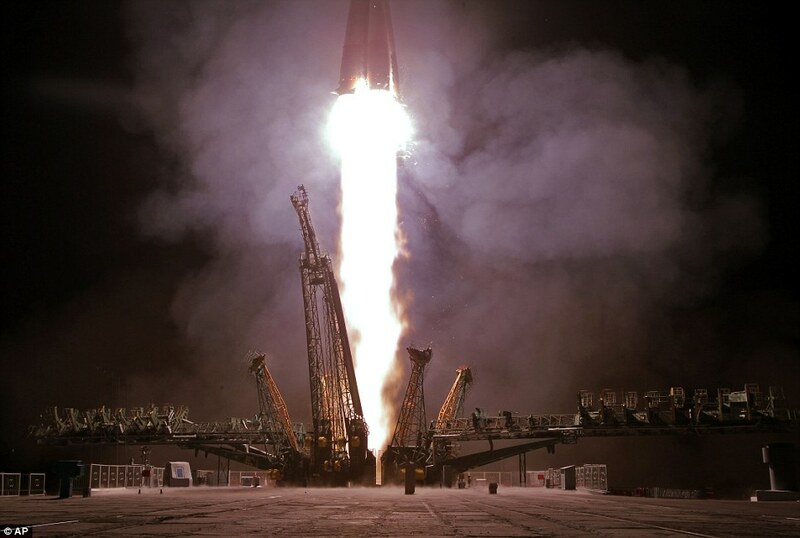 The trip took precisely 5 hours and 48 minutes after the Soyuz capsule launched at around 3 a.m. Monday (4:00 p.m. EST Sunday) from the Baikonur Cosmodrome. The three new astronauts will be joining three existing astronauts who will now be part of the Expedition 42 crew. The $100 billion space station began construction in 1998 and has been home to rotating crews of astronauts and cosmonauts. But among them, Samantha Cristoforetti will be making his second visit, which marks the first time that two female astronauts will be on board. The other female astronaut is Elena Serova of Russia. Of the three new arriving astronauts, Terry Virts plans to share his experience using social media sites. Virts plans to take images of the planet from afar to somehow give people an idea of how the world looks from space. The three astronauts who were already on board (Barry Wilmore of NASA, Alexander Samokutyaev and Elena Serova of Russia) are scheduled to return back to Earth this coming March, 2015. On the other hand Shkaplerov, Virts and Cristoforetti, will be staying on board until the middle of May, 2015. The space shuttle Soyuz is currently the only spacecraft that can transport astronauts to the space station. However, NASA officials are hopeful that new spacecrafts such as the SpaceX and Boeing can do the same by 2017. Image Credits: AP.